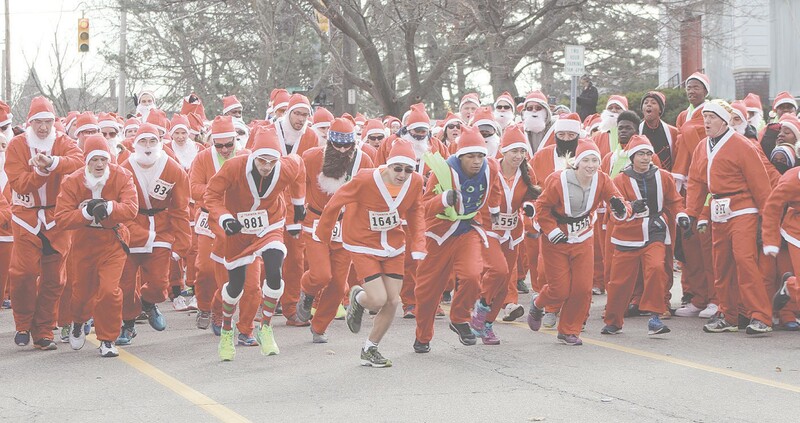 FLINT — Santa Claus is coming to town, and so are thousands of runners and walkers dressed in Santa suits. For the ninth straight year, participants in the YMCA Santa Run/ Walk will descend on downtown Flint, spreading Christmas cheer and helping to draw awareness to the YMCA and its services. The untimed 5k Fun Run race and one-mile walk events will start at noon on Dec. 1 from the YMCA of Greater Flint’s headquarters on 411 East Third Street. From there, the 5k race will wind through downtown Flint, the Flint Cultural Center and Applewood Estate before returning to the YMCA. 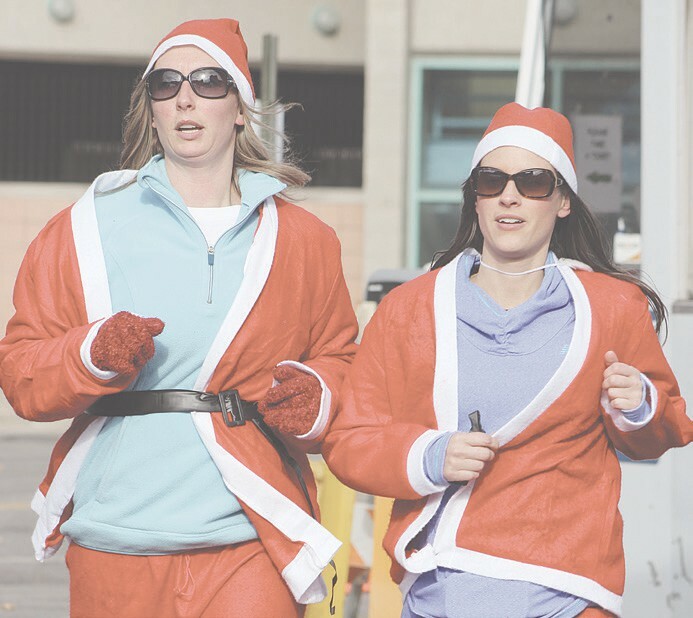 Over the years, the Santa Run/Walk has grown into one of the area’s marquee holiday events, drawing close to 2,000 participants alone in 2017. Pam Bailey, Director of Fundraising and Public Relations at the YMCA, said that many locals consider the race to be the official kick-off to their holiday season. Bailey said that the Santa Run/Walk draws a diverse mix of ages, with several families bringing multiple generations to run the race together. “That’s what we love to see – kids in strollers, with parents and grandparents all outside, spending time together and celebrating the season,” she said. In addition to the main race, there will also be a 1/3-mile Reindeer Race for toddlers and young children. Outside the race route, Santa’s Workshop will be open at 10:30 a.m. to offer face painting, glitter tattoos and fun crafts for kids. Musical entertainment will be provided by the Flint Arrowhead Barbershop Chorus, who will perform at 11:15 a.m. as runners and walkers get set on the starting line. Proceeds from the Santa Run/Walk will go toward the YMCA’s Partner with Youth, a scholarship assistance program that helps over 8,000 participants in the Flint community. Assistance includes scholarships for kids to go to Camp Copneconic, funding for the free YMCA afterschool program Safe Places and financial aid for families and youth at YMCA branches. Registration for the Santa Run/ Walk is $30 for adults and $15 for youth. There is still time to register at YMCASantaRun.org and on the day of the event. A five-piece Santa Suit is included in the registration fee. Sponsorships for the event are also still available. Contact Pam Bailey at 810-232-9622 or pambailey@flintymca.org for more information.